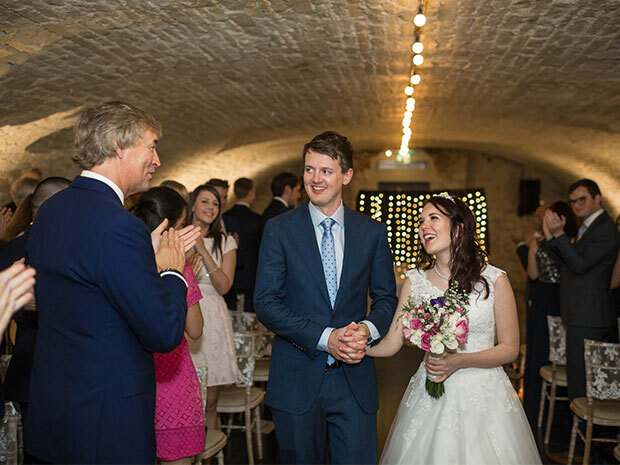 Following a ceremony at The Kings Head Hotel in Cirencester, a love of Giffords Circus provided the unique backdrop for Kathryn and Olly's fun-filled Cotswold reception, with plenty of laughs and a first dance with Tweedy the Clown. Rings including engagement ring: The engagement ring was from F Hinds, and the wedding rings were from Ernest Jones. 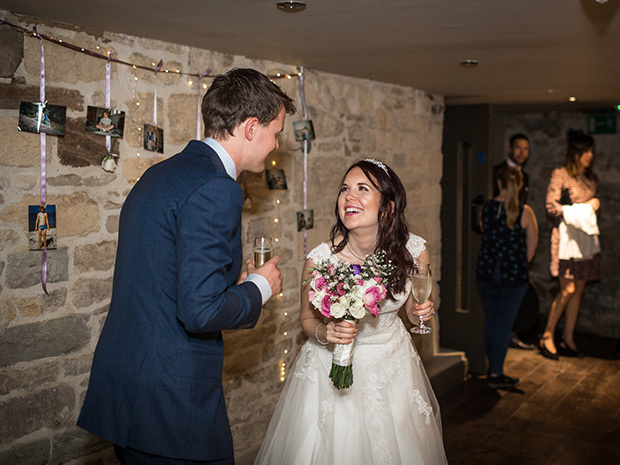 We met at Cardiff University in 2009 through our mutual friends, Lewis and Jemma, and were friends for a while before things were made official in 2010 after a night out and a few too many drinks at the student union! Olly proposed during a staycation in Symonds Yat in August 2016. We had just played mini golf and I had won (Olly now pretends he let me win). When we were back in the hotel and having a cup of tea and Olly gave me the ring as a ‘winner’s prize’. 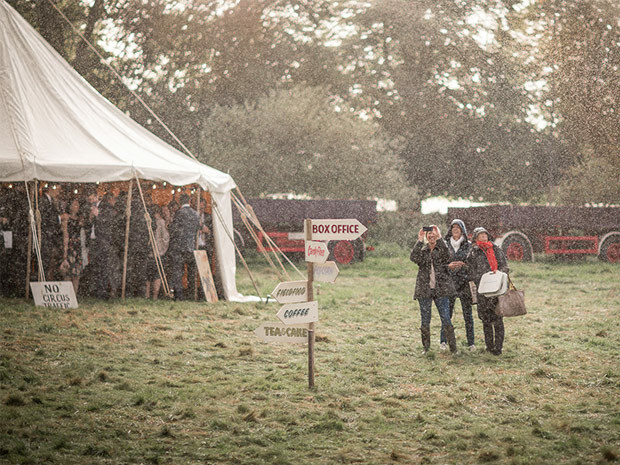 We were looking for a venue in Cirencester as that’s where Giffords Circus was taking place, so it was the most convenient – and we love the area anyway. 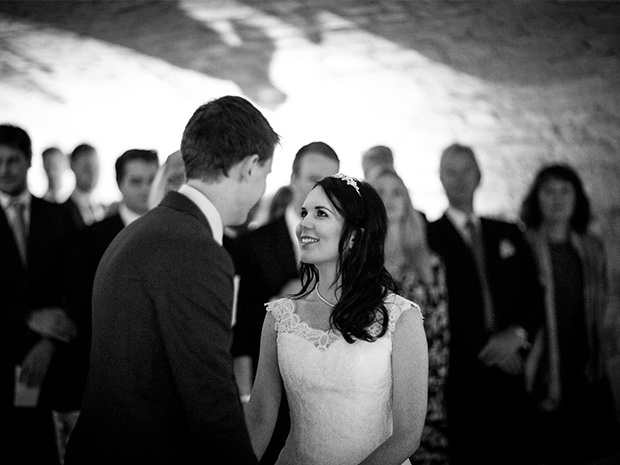 We visited Kings Head Hotel as I knew of it through work, and fell in love with the Vaulted Cellar; it was so atmospheric and unique, and we could envisage fairy lights and candles, so it was perfect. 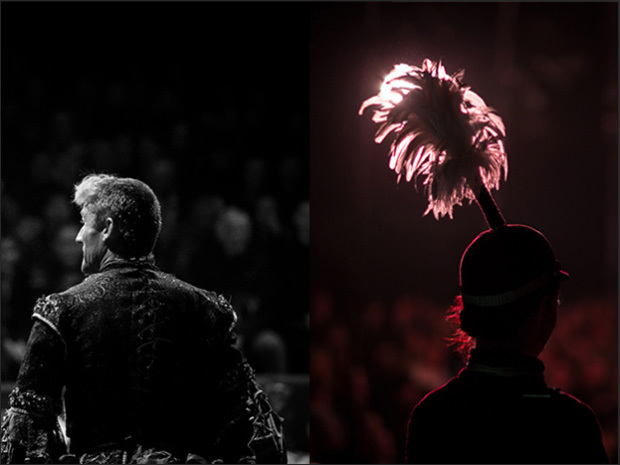 We really just wanted a fun celebration with our closest family and friends, but Giffords Circus was the inspiration behind the whole day, as we planned the whole day around the show and meal. 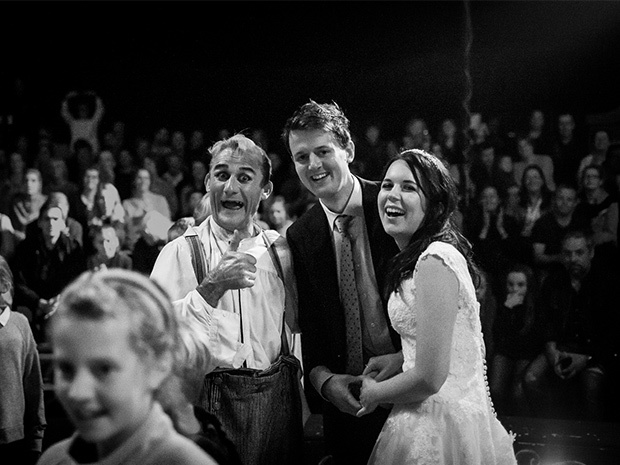 Olly and I have been huge fans of the circus for a while, and when Olly came up with the idea of taking our wedding to the circus it just seemed perfect. 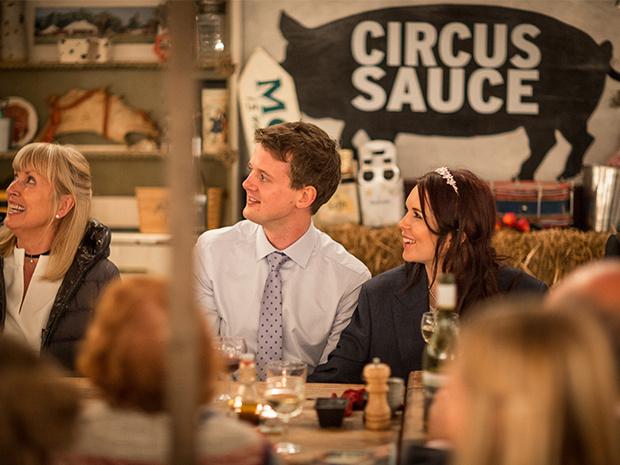 And even though we’d never eaten at the Circus Sauce restaurant we’d heard amazing things, so thought it would be a great way to finish the day and make it a memorable wedding breakfast. 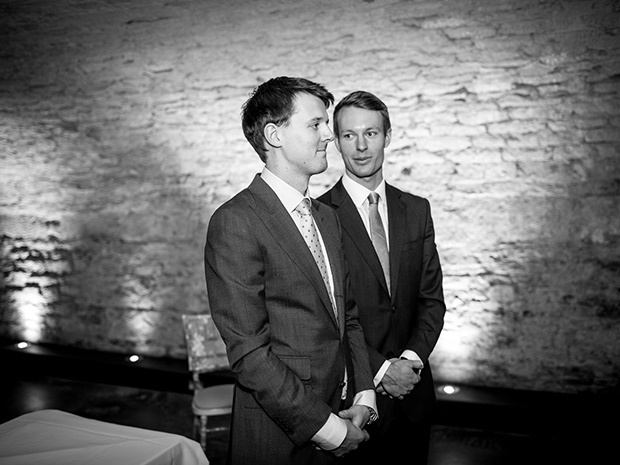 Olly had the job of choosing the photographer, because as a photographer himself he had specific ideas about what he wanted, especially as the venue was dark and therefore difficult to shoot. 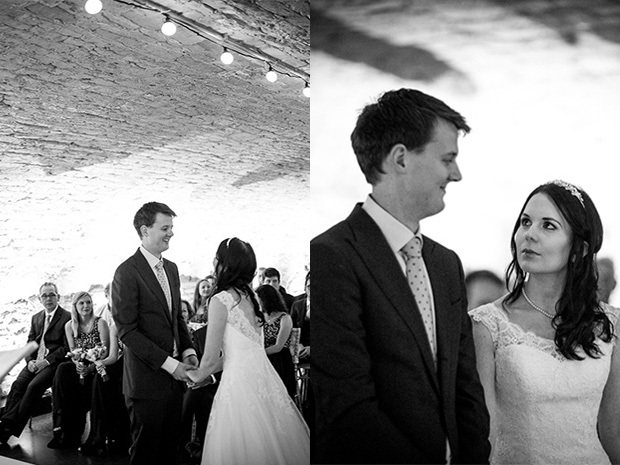 Olly found Winter Tree Photography online, and Dafydd was the only photographer we met with; we fell in love with his images and he was so friendly and seemed to understand exactly what we wanted, so we decided there and then to book him. We told Dafydd we didn’t want to waste any of the day posing, which he thankfully understood, and he was brilliant at being an inconspicuous photographer! 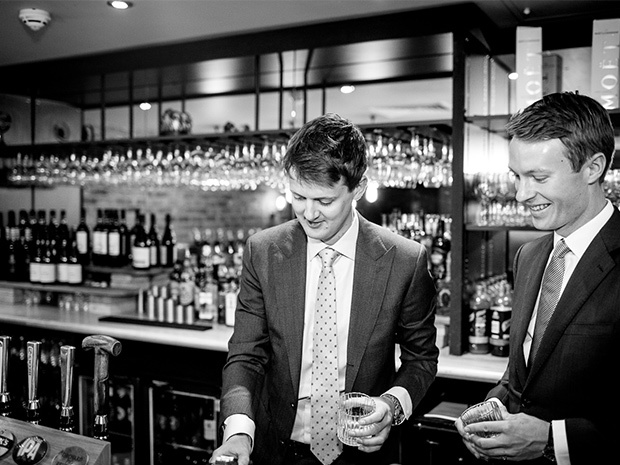 I forgot he was in the room when we were having pre-wedding drinks, and barely noticed him all day, but occasionally saw him taking action shots. 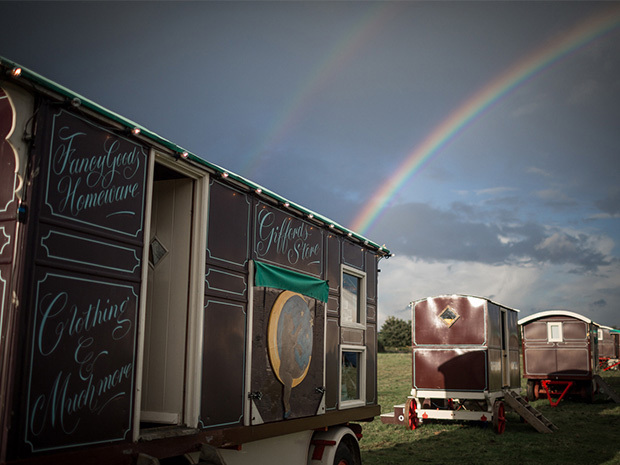 We planned it ourselves, although Giffords Circus were really helpful with ideas (candyfloss, popcorn and puppet shows), as were The Kings Head Hotel. My mum did the flowers, and we found our favourite family pictures for the day. But we were very lucky to have Lauradana from Wedding Creations as our stylist, who brought along lovely props and décor such as fairy lights, candles, backdrops, and flowers. 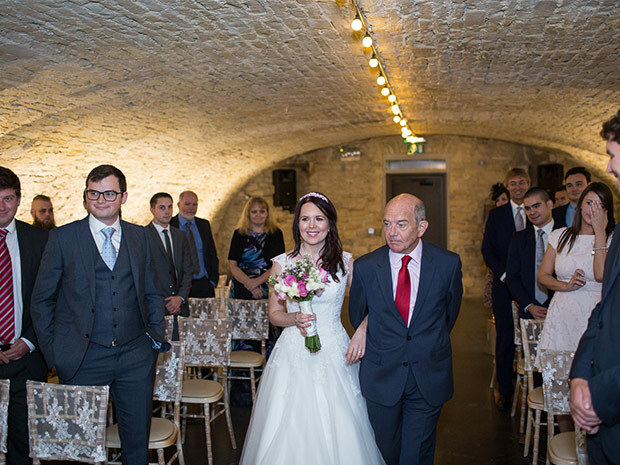 We both absolutely love her rustic style, and she made The Kings Head Hotel’s cellar even more beautiful, and added a few lovely touches to the Circus Sauce tent too, which was perfect. I bought the dress on my first shopping trip, after trying on just a few different designs. 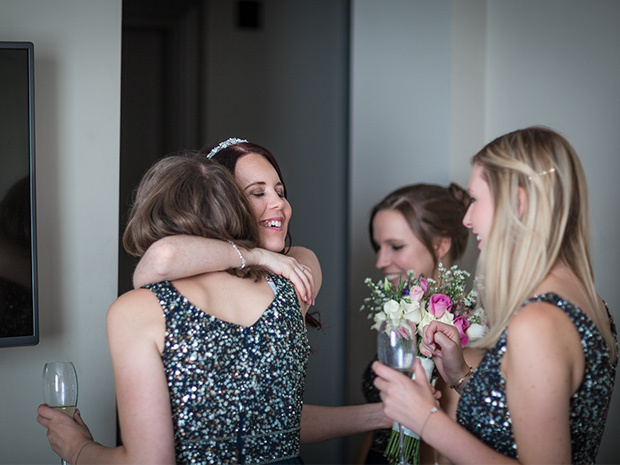 I’d been recommended By Design by my best friend who got married a month before me, and advised me that the dresses were lovely and the service friendly. As it turned out, ‘the one’ was the same dress I’d fallen in love with online. It was slightly off the shoulder, fitted at the waist, and had a low back; features I’d always loved! 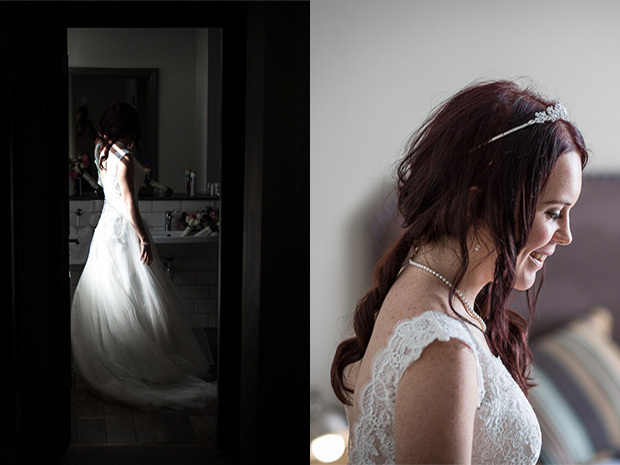 I didn’t go for a veil, but found a gorgeous tiara, and it had always been my dream to wear one on my wedding day – the only day you’ll be able to! Olly went shopping with his mum in London to find the perfect suit, and he didn’t even let me see it before the wedding! 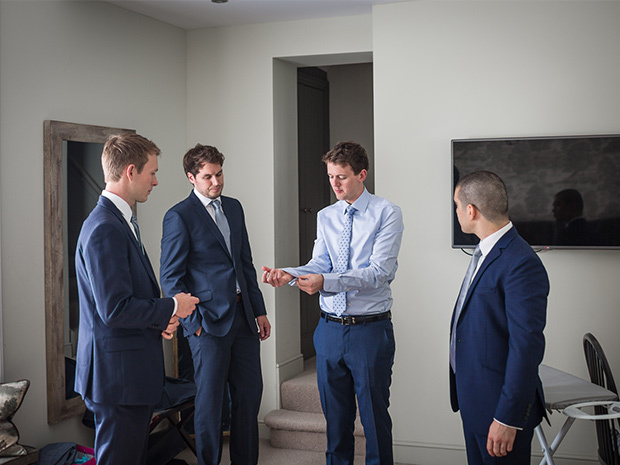 He found a navy blue suit from Suitsupply in Westfield, and bought the groomsmen ties from T. M. Lewin in Cheltenham. One of my favourite things was wearing Olly’s mum’s pearl necklace, which she’d been given from her dad. It was so beautiful and fitted perfectly with the dress, and it was a lovely sentiment too. I also wore some delicate pearl earrings that my dad had given my mum years ago, so that was a really nice touch. Yes, my something old was my mum’s earrings; something new was my dress and tiara; something borrowed was the pearl necklace; and something blue were my toenails! ‘I Love You Baby’ by Frankie Valli. Olly’s sister Sophie read Joey Tribbiani’s ‘giving and receiving’ speech from Friends, which luckily the majority of people knew! Our best friend Lewis read ‘Gravitation’ by Albert Enstein; it was short, very sweet, and perfect for him as he’s very sciency. 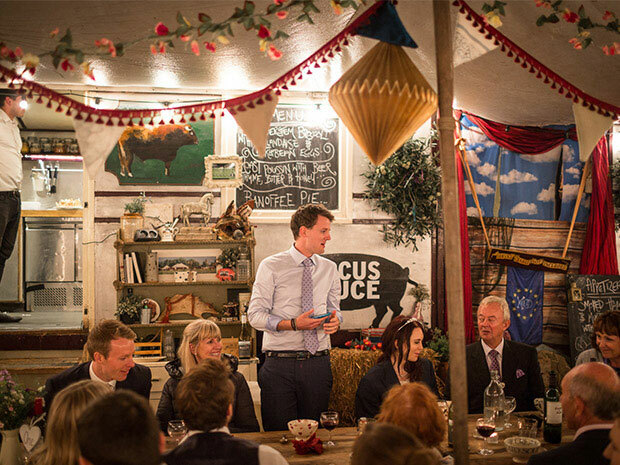 We ate at Giffords Circus’ Circus Sauce travelling restaurant, which we absolutely loved! The starter was CackleBean eggs with purple-sprouting broccoli and hollandaise; the main was poussin roasted in honey, thyme, beer and butter; and the dessert was an extremely decadent banoffee pie! We went for Mr and Mrs Colin and Connie Caterpillar cakes from M&S; we loved them and didn’t think anyone would be too hungry after Giffords’ feast! 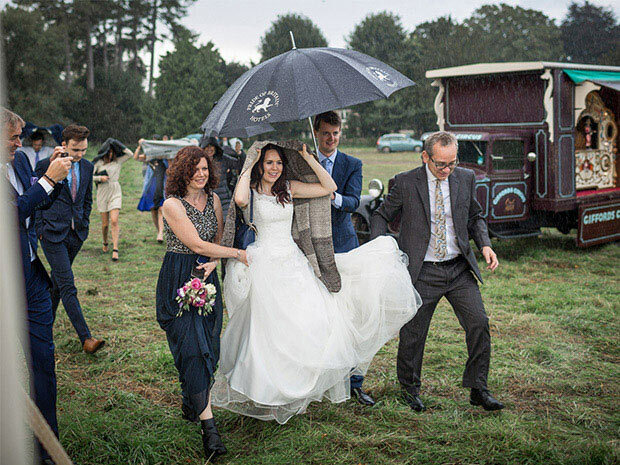 We technically had our first dance at Giffords Circus, but we walked down the aisle together to the ‘You and Me Song’ which it probably would have been otherwise. Seeing Olly for the first time was a highlight, and the circus was amazing! But honestly, the whole thing was lovely, it’s hard to find one part; being with friends and family was so important, and that’s what we had. Don’t stress, and do what you want – not what other people want. We’re went to the Lake District for a few days with Olly’s family, before heading to New York in October! 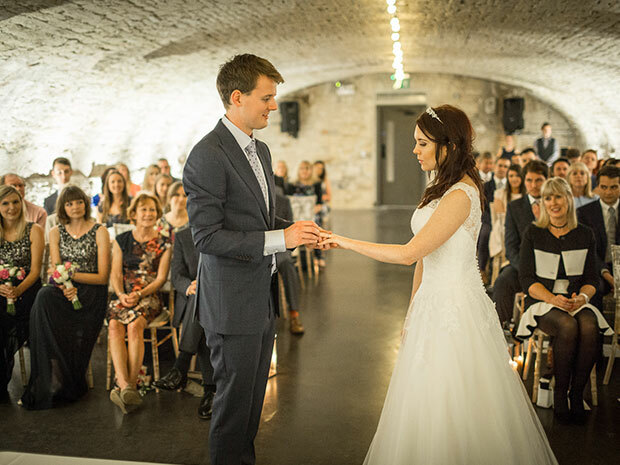 If Kathryn and Olly’s magical day has inspired you, see The Kings Head Hotel, call (01285) 700900, email info@kingshead-hotel.co.uk or visit kingshead-hotel.co.uk directly.